With this exclusive cooperation, three founding presidents Eszter Gulyás (Hungary), Ján Svoboda (Slovakia) and Max Eidlhuber (Austria) give a strong signal: fusion represents a new pan-European network of hotels that will enhance cultural tourism, which awaits a great future from which will profit not only hotels but also travellers. The hotels association „Heritage Hotels of Europe“ currently combines hotels in Austria, Hungary, Slovakia, the Czech Republic, Slovenia, Italy, Croatia, Germany and Switzerland. Architectural monuments such as the castle Leopoldskron in Salzburg, the Schönbrunn Chateau with ist Grands Suite in Vienna, Hotel Elizabeth, and the Grandhotels of Tatra are as attractive as Szidónia Castle in Hungary or Villa le Barone in Tuscany. The main aim is to provide a wide range of the historic hotels across the whole Europe to make the offer even more interesting. „The interest of tourists for the special accommodation associated with history and tradition is growing“, all three initiators agree. Hoteliers are enthusiastic about cooperation, which the main aim is to support stays in the historical buildings. It just underlines that the first-class offer, authenticity and style in combination with good price and performance ratio are preferred more than ever before. Whether if it is a knight's castle, an elegant mansion, a venerable city palace, or a romantic manor-house, hoteliers dedicate their work to historical cultural values to preserve the originality of buildings and quality tourism products. 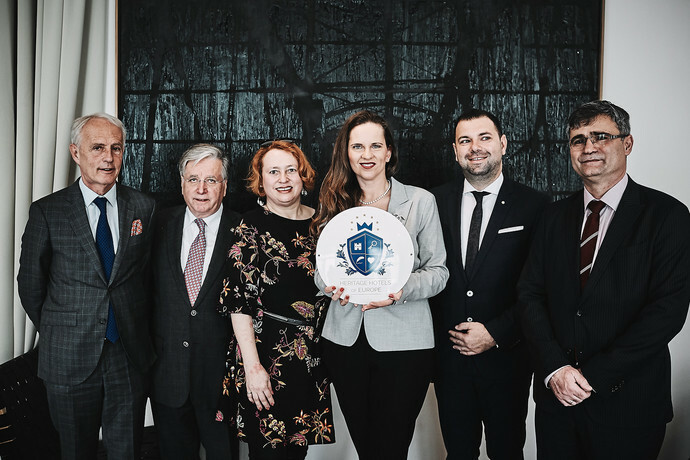 “The connection of European hotels is an invitation to explore history and cultural heritage of crossing the borders of a united Europe,” said Ján Svoboda, president of Heritage Hotels of Europe. The new association is presented online via website www.heritagehotelsofeurope.com, which is conceived as a European portal that offers to visitors a rich variety of hotels. Ján Svoboda is the hotelier with many years’ experience and awards (Hotel Boutique 2015, World Luxury Hotel Awards 2016 and 2017, Historic Hotels of Europe Awards 2015 and 2016, European Boutique Hotel Awards 2017), president of the association of Historic Hotels of Slovakia, Slovak Republic and the vice president of the Hotel and Restaurant Association of Slovakia and the only member of association for the European Hotel Managers from Slovakia.